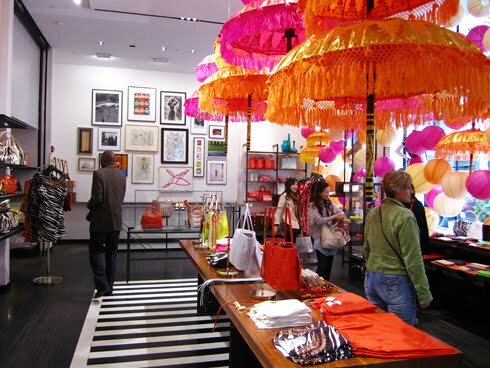 sneak peek inside kate spade soho — Pencil & Paper Co. 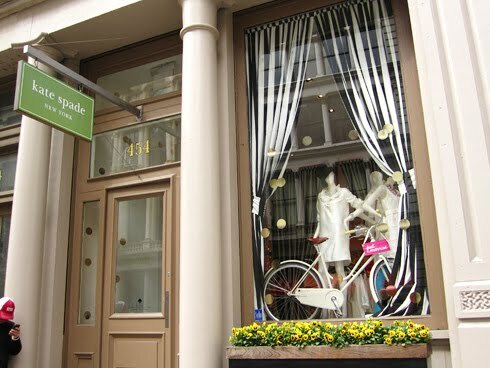 I'm living vicariously through Jen's (from the fabulous Made by a Girl) recent visit to Kate Spade in Soho! 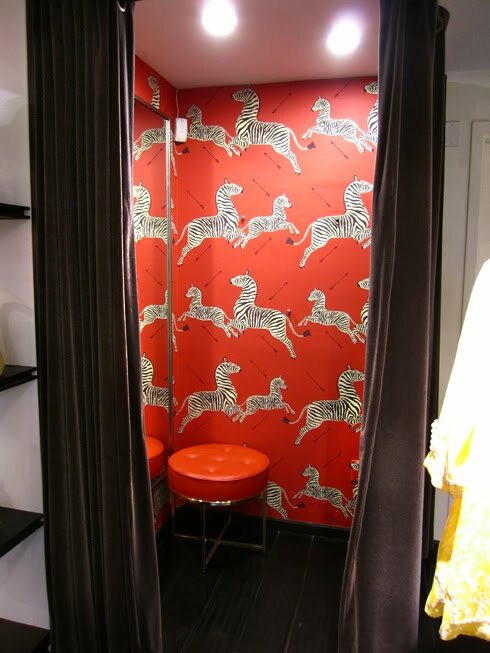 Loving the store's interior of bold "black and white stripe" meets vibrant "tropical punch" palette- with a splash of "gold sparkle"!!! Can't wait to get my "Kate" fix when I visit in July!! !